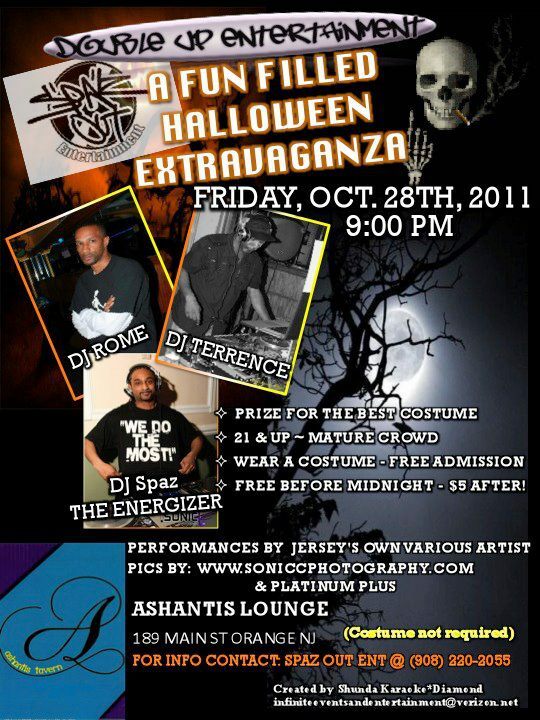 FREE ADMISSION FOR ALL COSTUME WEARERS ALL NITE!!!! REGULARS ARE FREE BEFORE 12AM & $5 AFTER!!! 21 & UP MATURE CROWD!!! 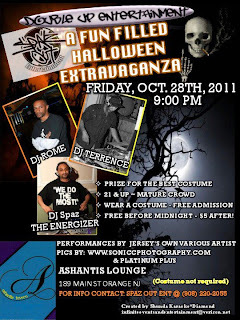 MUSIC BY: (SPAZ OUT ENT'S) DJ SPAZ "THE ENERGIZER"
A FUN FILLED HALLOWEEN EXTRAVAGANZA!!! !